Mon., 19 Aug. - Sun., 1 Sep. Thu., 15 Aug. - Sun., 25 Aug. Tue., 13 Aug. - Mon., 26 Aug. Thu., 15 Aug. - Mon., 26 Aug. 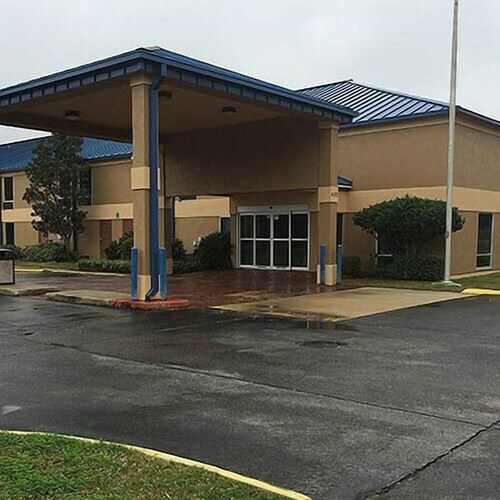 Located in Scotlandville, this hotel is 1.7 mi (2.7 km) from Metro Bowl and 2.5 mi (4 km) from Southern University and A&M College. A.W. Mumford Stadium and Delmont Village Shopping Center are also within 3 mi (5 km). 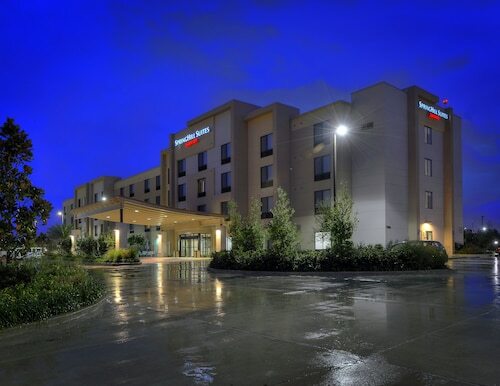 Located in Scotlandville, this hotel is 1.6 mi (2.6 km) from Metro Bowl and 2.7 mi (4.4 km) from Southern University and A&M College. Delmont Village Shopping Center and A.W. Mumford Stadium are also within 3 mi (5 km). 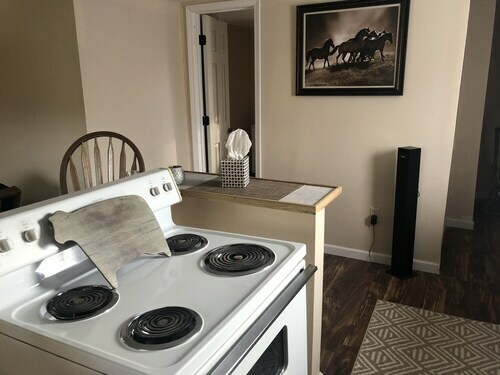 Situated in Baton Rouge, this romantic guesthouse is 2.2 mi (3.5 km) from Hooper Road Park and within 6 mi (10 km) of Southern University and A&M College and Colonial Plaza Shopping Center. Baton Rouge Zoo and Metro Bowl are also within 6 mi (10 km). 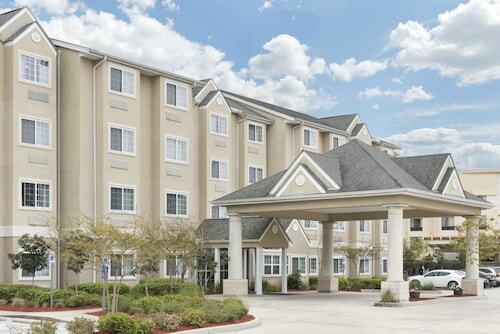 Situated near the airport, this hotel is 2.8 mi (4.4 km) from Baton Rouge Zoo and within 6 mi (10 km) of Southern University and A&M College and A.W. Mumford Stadium. Monte Sano Park and Metro Bowl are also within 9 mi (15 km). Answer : The cheapest day to fly from Edmonton to Baton Rouge is on Saturday. So, if you are trying to save a little money on your next getaway look for flights on Saturday. Question : How much is a plane ticket to Baton Rouge (BTR) from Edmonton (YEG)? Answer : Cost can range from $488 to $753, prices for YEG to BTR fluctuate less than most routes from Canada. However, usually the sooner you book, the more you'll be able to save. Answer : You sure can and you may save by doing it. The lowest-cost day to fly in April is Saturday. Question : What is the cheapest airline flying from Edmonton to Baton Rouge? Answer : Ticket costs are hitting highs of $753 over the next three months when flying to BTR from YEG. Check out United Airlines, as customers have been booking flights at just $488. Question : How long do most people stay on their visit to Baton Rouge on average? Question : What is the cheapest date to fly to Baton Rouge? Answer : As of Apr 15th, the best day for deals to Baton Rouge (BTR) is Apr 27th. A ticket will put you out $488, which is 16% below this route's average price.